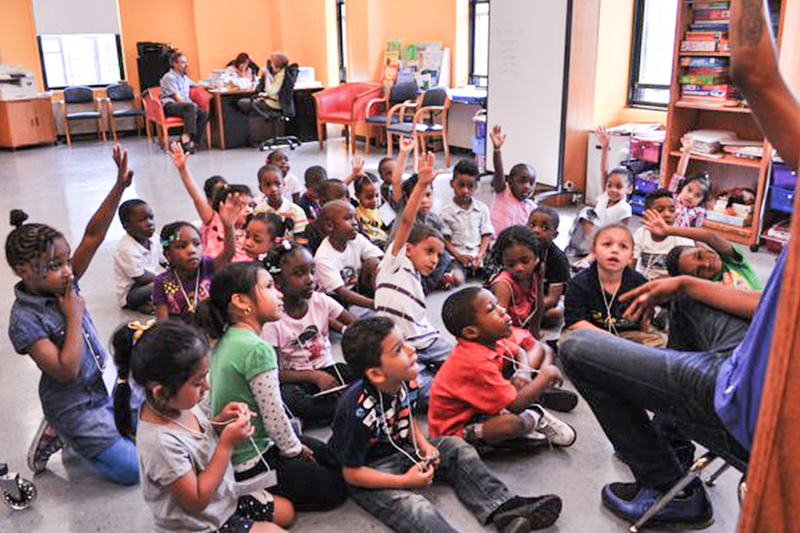 Maureen Rover, a former educational publishing executive, founded the Reading Team in Harlem in 2000 to address the high incidence of reading failure among children in the New York City Public Schools. Maureen knew that children with inadequate early language development and reading skills are likely to start school behind their more advantaged peers and remain behind them throughout their schooling and for the rest of their lives. She also was aware that a disproportionate share of African American and Hispanic children in poor neighborhoods consistently failed the New York State English Language Arts Exam. When Bertrand Brown, then District 5 Superintendent, encouraged Maureen to start her own organization in Harlem, she accepted the challenge. In our first year, we served 72 children. Enrollment has grown each year after that and in 2010, enrollment soared from 225 to 425 children. In 18 years, we have helped more than 10,000 disadvantaged children who were at high risk of reading failure to achieve substantial and lasting success through our powerful literacy-immersion programs. Today the Reading Team is regarded as one of the most effective programs of its kind, a lifeline to literacy for the children of Central and West Harlem. Its focused programs serve 850 children every year from prekindergarten through fifth grade, measurably transforming their academic and life trajectories. Our programs have demonstrated such success that NY1 chose Maureen Rover as the “New Yorker of the Week” in May 2013! Preschoolers come to the Reading Team from seven neighborhood day care centers and Head Start programs. Teachers at 17 public, charter, parochial, and private elementary schools refer children in Grades K-5 to our After-School Program at our main site.